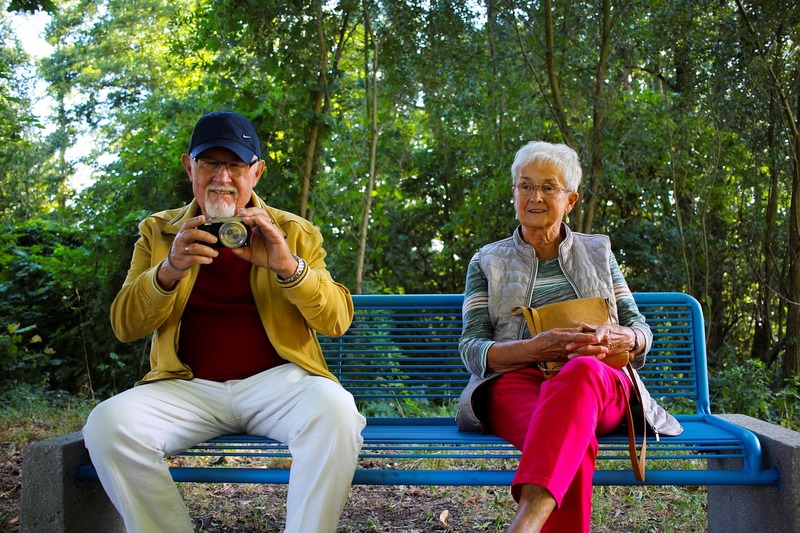 MobileHelp was founded in 2006 in Boca Raton, Florida, with the goal of helping the elderly stay independent and live in their homes safely. It developed a personal emergency response system that utilizes a small, mobile device that you wear or carry with you in conjunction with in-home monitoring. The outstanding quality of its product and customer service has contributed to exponential growth. Today, MobileHelp is one of the top providers of medical alert systems. What Is the Overall Rating of the MobileHelp Medical Alert System? Why Have a MobileHelp Medical Alert System? How Does the MobileHelp Medical Alert System Work? What are the benefits of a mobilehelp medical alert system? ​​​​​When Is it Time to Use a MobileHelp Medical Alert System? 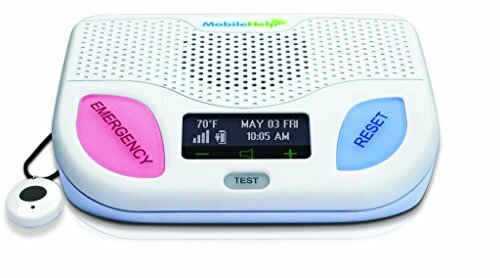 What Are the Features of the MobileHelp Classic Medical Alert System? What Are the Features of the MobileHelp Solo Medical Alert System? What are the pros and cons of the mobilehelp medical alert system? 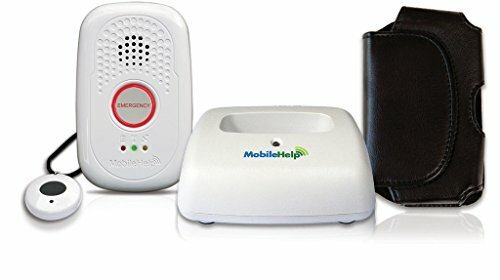 How Does MobileHelp Compare to Bay Alarm? Is the MobileHelp Medical Alert System Right for Me? MobileHelp is guided by its mission statement, which states in part, "To give our customers the confidence to live the independent lifestyle they choose." With such an array of choices, you can easily find what will work best for you. MobileHelp earns 4 out of 5 stars for its outstanding customer service. It has the fastest call response times in the industry and some of the highest-rated emergency operators. this system uses cell technology to connect, you never have to worry about the phone lines being down. Extra options like the fall detection button provide even greater security. 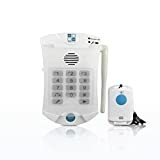 Known by two names, medical alert systems and personal emergency response systems, these devices provide a fast and easy way to get help in an emergency. They are ideal for the elderly, people who live alone, or people who have serious health issues and may need to summon help for anything from fires to heart attacks. At the push of a button, you can call the response center and talk to an operator who will send the appropriate first responders. There are in-home systems and mobile systems. In-home systems are a good choice if you are largely homebound. They consist of a base unit that looks a bit like a speaker phone. Pushing the emergency button will connect you to the response center. You can also wear a portable help button that is linked to the base unit. It may be on a wristband or a pendant and is usually waterproof so it can be worn in the shower. If you are very active and leave the house frequently, you may consider a mobile system. This system also has two parts, but they both travel with you. You wear a portable button either as a pendant or wristband, as mentioned above. You also clip to your waistband, or set nearby, a receiver that has a speaker and microphone. A push of the button activates the speaker unit. Mobile systems rely exclusively on cellular technology. They contain a GPS that tracks you when you leave your house and connects you with the nearest cell tower when you push the button. In-home systems can be used with a landline or cell service. When an emergency or crises arises, simply press the button on your base unit or your portable emergency button. Immediately your location, health history, and contacts are sent to an emergency operator at a U.S.–based response center. They will open a two-way communication with you to ask you what you need and assess the situation. Depending upon your need, they will contact someone from your emergency contacts list or a first responder such as paramedics or police. It's important to note that the help buttons on the pendant or portable emergency button don't have a speaker. You cannot talk to the response center through them. The speakers are in the portable mobile device or the base unit which become activated when you push your button. If you are unable to talk or the emergency operator can't hear you because you are too far away from the speakers, they will assume you are having an emergency and will send first responders. You may think that carrying a cell phone with you whenever you leave the house is sufficient protection. However, cell phones do not give your location to 911 operators, and if you cannot tell them where you are, you will lose precious minutes while first responders try to locate you. MobileHelp Medical Alert systems have GPS that will pinpoint your location and send it to the emergency operator as soon as you push your button. In addition, MobileHelp offers a fall button that can detect the majority of falls. You wear it around your neck, and if you fall and are unable to push the button, it will automatically send an alarm to the response center. This can be a great comfort to you if you are concerned about falling in your home while you are alone. You, your family, and your caregivers are frequently worried about your safety. Your medication makes you dizzy or disoriented. A fall has already occurred. You live alone and there is no one nearby who can frequently check on you. You are unsteady on your feet. If any of these situations describe you, it is a good idea to learn more about medical alert systems and how they can keep you safer in your daily activities. This is an in-home system that utilizes a base unit that is connected with cellular technology. Therefore, you don't need a landline to use it. It includes a portable help button that you wear either as a neck lanyard or on your wrist. The base unit has two large, backlit buttons for easy visibility. The emergency button is red and the reset button is blue, making them easy to differentiate. This is a mobile system that you take with you everywhere you go. As such, it has no base unit. The mobile device you carry with you is 3.4 by 2.1 by 0.6 inches. It has a built-in speaker and microphone at the top. Complete home medical alert system in a box - 24/7 access to help in any situation, even when the device is charging! The MobileHelp Solo is bulky and not waterproof. The Solo unit is one of the largest mobile systems. It can be clumsy and awkward to carry with you. Also, as it is not waterproof, it can't go in the shower where falls often happen. The MobileHelp Solo has a short battery life. Compared to other mobile systems, the Solo's battery life is one of the shortest. It can last up to 24 hours before it needs recharging. This may be a problem if there's a power outage. The MobileHelp Classic and Solo have excellent response times. After pushing the emergency button, the average response time is 36 seconds. This is the quickest response time of in-home systems. In addition, the emergency operators are exceptionally courteous and professional. The MobileHelp Classic is a good price for the value. The monthly fee of $29.95 is already a good deal, and if you pay for a year in advance you get a discounted total bill of $324.40. If you want the optional fall detection button, that will cost an additional $10 per month. If you choose to use MobileHelp Connect, there are additional fees for some services, such as an extra $5 per month for activity tracking. Generally, customers give very positive MobileHelp reviews, with comments such as, "My mother has one of these devices and it has saved her life multiple times." Customers report that MobileHelp medical alert systems are easy to use with great tech support and emergency response timing. 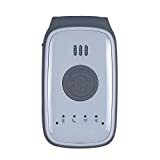 The MobileHelp Classic has an average of 4.5 out of 5 stars on Amazon. Forbes Magazine gave it 4.5 stars and ranked it number three in their top 10 medical alert systems. The MobileHelp Solo has an average of 3.8 out of 5 stars on Amazon. PC Magazine gives the Solo 3 out 5 stars, discounting it mainly because it is not waterproof. Bay Alarm is a medical alert company in direct competition with MobileHelp. They are also highly regarded and receive 4 and 5-star reviews. Their in-home system is less costly, beginning at $19.95 a month, with optional fall detection for an additional $9.95. They use both cell and landline technology, so if you would prefer to plug your base unit into your landline, there is that option. The Bay Alarm portable help button has a longer range than the MobileHelp Classic. It can transmit to the base unit from 1000 feet, compared to 600 for the Classic. It also has a slightly longer backup battery life at 32 hours. However, it does not offer the option of medication reminders, wellness checks, or activity monitoring that the Classic can provide. You need a pendant or wristband portable help button, which are included with both the Solo and the Classic systems. You may opt to get the fall detection button for an additional monitoring charge. The Solo also comes with a charging cradle and leather pouch for carrying the unit. While only you can determine how to best meet your medical needs, the MobileHelp Medical Alert System is a high-quality service that saves lives every day. It is consistently top-ranked by consumers and review panels for the company's efficiency and promptness in responding to emergencies. If you are concerned about staying in your own home or living alone, MobileHelp can make it possible for you enjoy greater safety and peace of mind. If you have additional questions about MobileHelp Medical Alert Systems and how they can benefit you, leave your questions or comments below. MobileHelp Medical Alert System has a higher asking price than most of the others, but what you get also exceeds most. No price is too high for the peace of mind and security you and your family will get with the purchase of an alert system, and with MobileHelp's very high rescue success rate, it's a good option.